The number of consumers using ad blocking software worldwide has increased 41% year-on-year to 198 million monthly active users, according to a report published Monday by PageFair and Adobe. 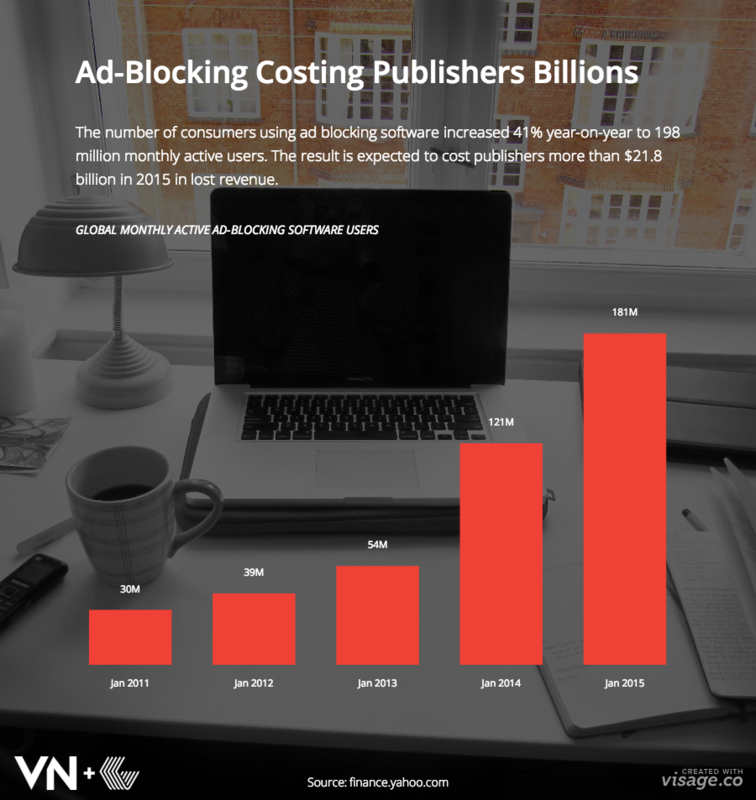 While that figure may only represent 6% of the global web population, ad blocking is expected to cost publishers more than $21.8 billion in 2015 in lost revenue. That represents 14% of global ad spend. By 2016, PageFair and Adobe predict the global cost of ad blocking to rise to $41.4 billion. This chart, which chronicles ad blocking growth from 2009 shows how ad blocker use really started to accelerate from 2013. And while the 41% increase this year was down on the near 70% growth PageFair and Adobe reported between 2013 and 2014, it’s nevertheless a worrying trend for publishers.